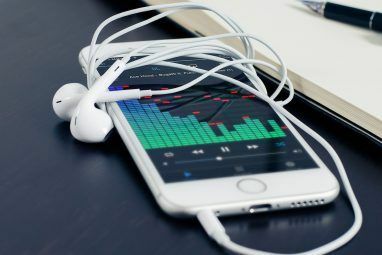 When Apple introduced Garageband as part of its creative suite of software in iLife ’04, it gave Mac users hundreds of royalty-free music loops and effects that could used by both musicians and non-musicians alike. If you’re familiar with the over 1,000 pre-recorded cuts, you can occasionally hear them in television commercials and Hollywood shows. Of all the iLife programs, Garageband may be the least used by Mac users, but the software is not just for creating original songs. The royalty-free loops can be useful for all types of creative purposes, including background music for family slide shows, various YouTube presentations, wedding and birthday videos, ringtones How To Create Your Own Unique iPhone Ringtones Using Garageband [Mac Only] How To Create Your Own Unique iPhone Ringtones Using Garageband [Mac Only] Read More , podcast How to Create & Broadcast a Podcast with Garageband [Mac] How to Create & Broadcast a Podcast with Garageband [Mac] Read More introductions and outros, opening and closing credits, news jingles, and much more. The only extra cost you pay for loops is the time it takes discover what you’re looking for. So if you have never tapped into this resource, read the following tips and techniques. Garageband loops are of course housed in the application itself. 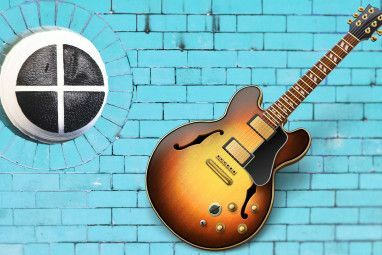 Since its inception, Garageband has grown with many new and often intimidating features. But if you”˜re opening Garageband ’09 or the recently released ’11 version for the first time, you might feel a little intimidated by the choices. So to get your hands on the loops, choose File > New in Garageband. Next, select New Project and then Loops, to open them in Garageband. On the right side panel of Garageband, click the podcast sounds panel. These same podcast loops can be found in the media panels of the last couple of versions of iMovie, iPhoto, and iDVD, so you don’t have to open Garageband in order to access them. There are 418 sound effects and loops to choose from to fit almost any media project. If you’re looking for short background music for a baby shower or a wedding slide show, for example, click on All Effects > Cinematic, and click the preview button for loops titled, Newborn and Patel Slide Long. 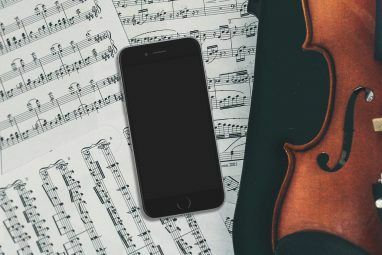 Click on the Jingles sections and you get hundreds of loops that will work great as background music for slideshows, opening and ending credits of videos, as well as podcasts. The length of Garageband loops and effects are from under a minute to two minutes long. To use one or more of them, select and drag a loop into the editor and play it several times. Go back through the loop collection and find other loops and effects that you can use to build on. One of the reasons they’re called loops is that they can be repeated as often as you like. Put your cursor at the upper-right edge of a loop (technically called, “region”) and hold it there until the loop pointer appears. Drag to the right to repeat the loop. Notches will appear showing the beginning and end of each repeated loop. If you have some time and a good ear for music, you can of course combine loops to make them longer. Garageband includes several music editing tools and features to help your tracks sound pristine and professional. You can slice, duplicate, edit, and mix various sound effects to into loops, as well as add fade-ins and fade-outs to tracks. To save and use your loop projects outside of Garageband, you simply choose Share in the Garageband menu bar and select, “Send Song to iTunes“. When tracks are exported to iTunes, you can access them in the Media Browser of other iLife applications. Upon saving a Garageband project, you can also select to save it to the iLife Media Browser, which means your particular project will show up in the other iLife applications. Now let’s take a quick look at how loops and effects can be used with titles in iMovie. Launch the program and create a new project. Select a Title theme and drag it into the Project storyboard. Now click on the Music and Sound Effects in the iMovie toolbar. For the purposes of this tutorial, select the Stringers collection of effects, from the pop-up menu. Scroll to the bottom and select the Synth Zingers 04 effect. 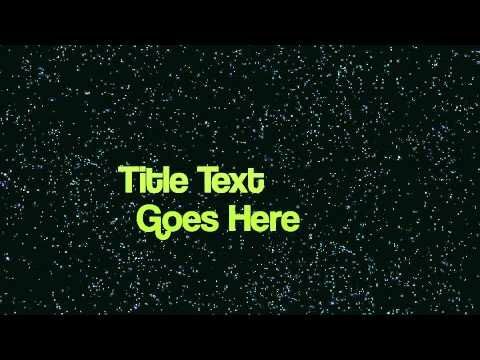 Drag that loop to the beginning of the title clip. Now select the longer Synthetic Design 02 sound and drag it onto the title clip. It will fit the length of the clip. Hit the iMovie play button and you will see and hear an example of how loops and sound effects can be used in iMovie video productions. There are no limits to using Garageband loops and sound effects. Since the iLife suite is often included in all new Macs, there’s no reason not to give them a try. And if you're looking for something else, try http://www.PrimaryElements.com/ for affordable royalty free music tracks. And if you're looking for something else, try http://www.PrimaryElements.com... for affordable royalty free music tracks.